Tebogo joins former Soccer Institute player Orebotse Mongae who was also signed by Baroka FC last year. Tebogo hails from Pampierstad in the Northern Cape and studied BCom logistics at the NWU’s campus in Mahikeng. 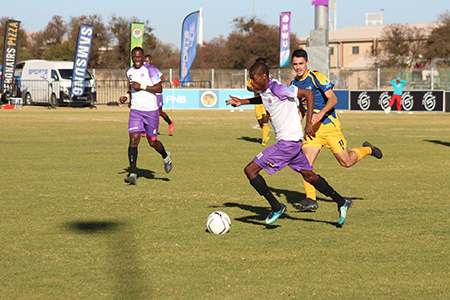 This midfield maestro represented the NWU in the ABC Motsepe league, the University Sports South Africa (USSA) tournament and Varsity Football Championship. Soccer Institute Manager Vuyo Sambo says he is very happy for the player to have secured a PSL contract. Tebogo Thato Mokgobo in action.